This past week I took a train ride out to D.C.'s National Building Museum to play at the "beach". When I discovered pictures on some of my favorite Instagram profiles, I KNEW I had to go check this place out. 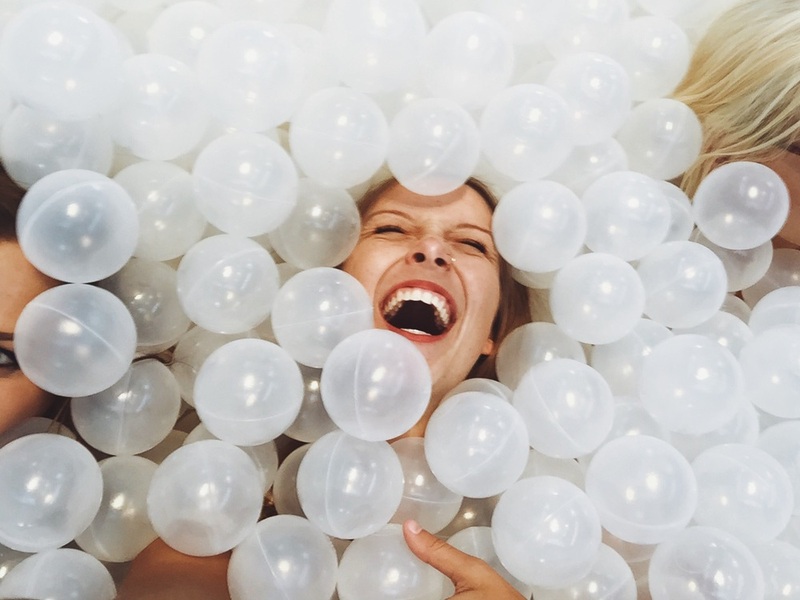 The Beach is a 10,000 square foot ball pit, set up and put together to make you feel as if you are indeed at the beach. The clear balls being moved around as you walked around, sounded so much like the waves. The white astro turf they used as the "sand", sounded just like walking on the actually shore. I was blown away. Of course the kid inside of me was extremely overjoyed, but the beach is for all ages. There was 5 year olds doing back flips, and 45 year old couples giggling and happy. Here are some of my favorite pictures from my time playing. Enjoy! If you are near/ in D.C. or can get yourself out to the beach before September, YOU HAVE GOT TO GET YOURSELF THERE!